Wannweil is located in the south of Germany, approx. 20 min by car to Stuttgart airport. our disposal, we conscientiously take care of your wishes. Susanne Renner is the the Owner and Chairperson of Amos-Hill Associates, Inc. and the third generation of ownership in her family business. Ms. Renner’s background in the wood industry began during her university years working part time for Offenhauser Veneer. During this time, she acquired an understanding of the world wide species, grades and customer relation. 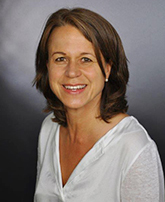 In 1991, Susanne completed her degree in business administration and began her professional career working in marketing for Koppensteiner-Veneer, a company owned by her father, Wolfgang Koppensteiner. In 2003, following her father’s retirement, Susanne Renner became the sole owner of her family business and in 2005, the sole owner of Amos-Hill Associates, Inc. Susanne’s astute leadership has positioned the companies to meet the future world wide challenges of veneer industry.